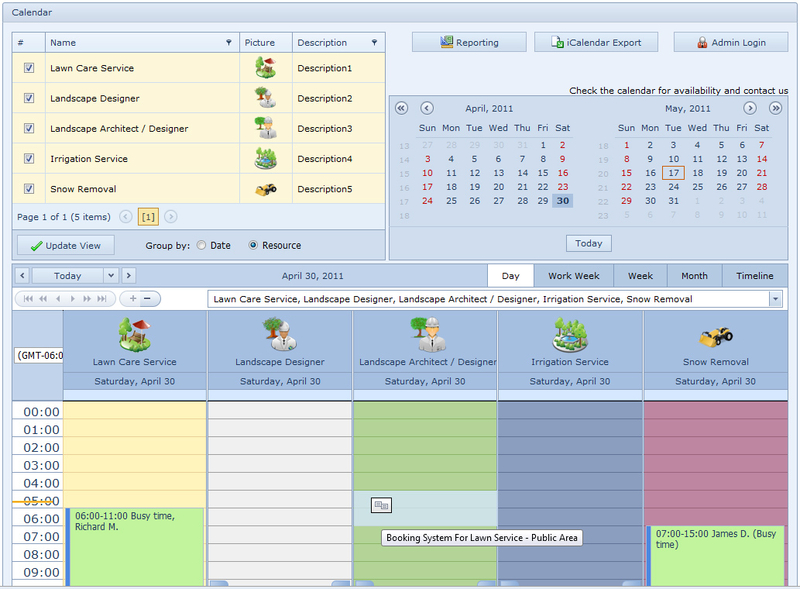 Booking System For Lawn Service 4.2 - Download Win Apps. Web-based lawn care software for lawn care service business..
Now your business work flow can be managed online - at any time and from anywhere. If you already have your own webpage you can add our online booking system to your own webpage. Powerful web-based software to make your lawn care and landscaping business more efficient. You can use the web-service to show hourly availability. It's perfect for workers to plan working hours so that the orders do not overlap with someone else and keep track of scheduled appointments. It'll store the information about clients, such as their address, telephone, email and comments. Now you can keep track of all past tree service jobs, lawn mowing job or snow removal jobs. You can use the scheduler to find the best fit by viewing dates, times and distance of other scheduled services to set an appointment for a customer. You can put Booking System For Lawn Service on any web page - HTML, HTM, PHP, ASP, JSP, etc.